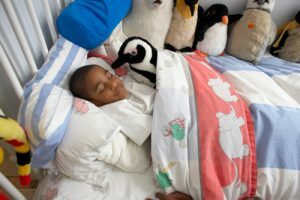 A regular sleep schedule is just as important for a developing youngster as proper nutrition and exercise because lack of sleep can affect everything from their physical and emotional health to anxiety to their school performance. 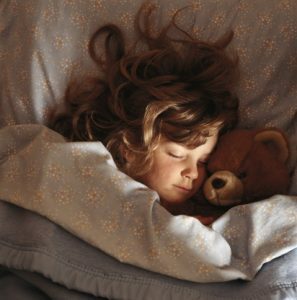 So how can you ensure your child is resting up at night and waking up on time in the morning? The pillars of a successful morning routine are scheduling, repetition, and enforcement. Make your expectations clear to your child. Give them an exact time they have to be dressed and at the breakfast table. Then, schedule time after breakfast were they can do something they enjoy, like watching TV or gaming – but only if they’re on time. A regular sleep schedule is just as important for a developing youngster as proper nutrition and exercise. Lack of sleep can cause everything from increased anxiety and depression to weight gain and poor school performance. So how can you ensure your child is resting up at night and waking up on time in the morning? A routine can be helpful for getting restless sleepers to bed in the evening. By sticking to a schedule, you not only bring regularity to your child’s sleep cycle, you also give them time to purge the stresses of the day. A successful evening routine should include relaxation, time away from screens, and personal care such as brushing one’s teeth. If you find that your child tends to be keyed up at bedtime, examine their daily routine. Make sure their day has included plenty of active play and not much sugar and caffeine; if they’re not tired, up the exercise and cut out the stimulants. While it may seem harmless to let your child go to bed later on the weekends, it can actually affect sleep schedule off in several ways. First, a child who slept until noon on Sunday will naturally have trouble falling asleep that night and getting up for class on Monday; it might take them almost a week to get back to their normal bedtime. But most of all, establishing a late bedtime as a “special treat” will lead your child to view a normal bedtime as a punishment, when instead they should view it as something healthy. You may face some resistance at first, but once your child’s body adjusts to a healthy regular sleep schedule, going to bed at night and getting up in the morning will be much easier. They’ll be saying “Lights out!” with a smile.